Grub worms are particularly harmful to your garden. Aside from the fact that they can decimate a lawn by themselves, they can even attract moles to your property just by being there. Our lawn care Allen, TX services provide excellent protection from both white grubs and chinch bugs. Fertilizing your lawn seems easy enough, but often causes ambiguous issues for plant life. Often under-looked for lawn care only because many gardeners go with store bought bags of lawn fertilizer, this can be a big part of maintaining your yard. Most store bought fertilizer doesn't give you the nutrients your garden really needs to grow properly. 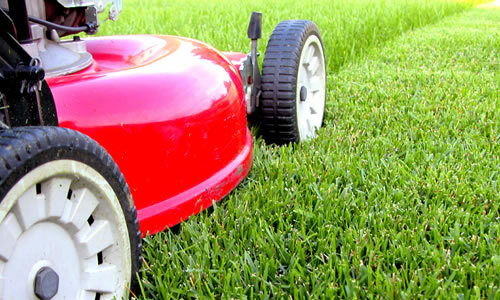 Our expert staff will ensure you get the best lawn care Allen, TX can provide. Organic lawn care can actually provide you with an all-natural way to keep your lawn weed free. The proper mix of natural minerals and soil benefits your garden immensely. And as a bonus, it can also help alleviate some of the stress your plants feel from extreme temperatures with its microbial activity in the soil. On the subject of weed control, we offer many services here at Arbor Tree Care to combat the ever present threat of weeds attacking your garden or lawn. Allen, TX lawn care doesn't have to succumb to weeds occupying your soil. We can help. Fertilizer treatments are available for every lawn, and we pride ourselves in offering seasonal fertilizer maintenance as well. Be it fall, winter, or spring and summer, we can provide the best fertilization treatments in Allen, TX as part of your Allen lawn care regimen. Any seeding work that needs to be done can easily be handled by our professional arborists here at Arbor Tree Care. We can use whichever grass seed fits your criteria, and even use splice seeding if you so desire. We can even play doctor and treat your lawn for diseases and other harmful conditions that would otherwise hurt your plant life.